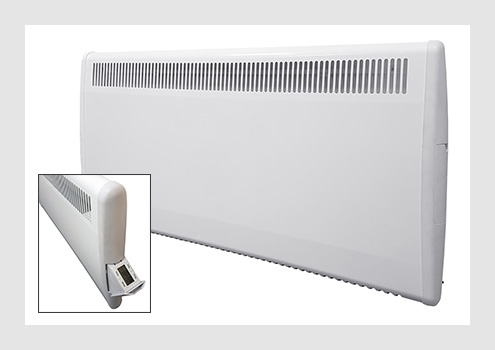 The PLE panel heaters feature an electronic timer which offers a 7-day programme with 6 heating periods per day. The digital control panel has an easy-to-read display and four large control buttons with audible and tactile feedback. Easy to operate and designed with an electronic lock to prevent tampering with controls. Features open window detection which recognises a sudden temperature drop when a window is opened and turns the heating off to save energy. Once the window is closed, the temperature change triggers the heating to resume its normal operation. These slimline heaters with concealed digital controls have strengthened grilles to increase durability and feature a snap-on bracket on their wall mounting system which allows easy installation and dismounting for cleaning and decorating. Ideal for hotels, offices, bedrooms, kitchens, bathrooms and laundries.